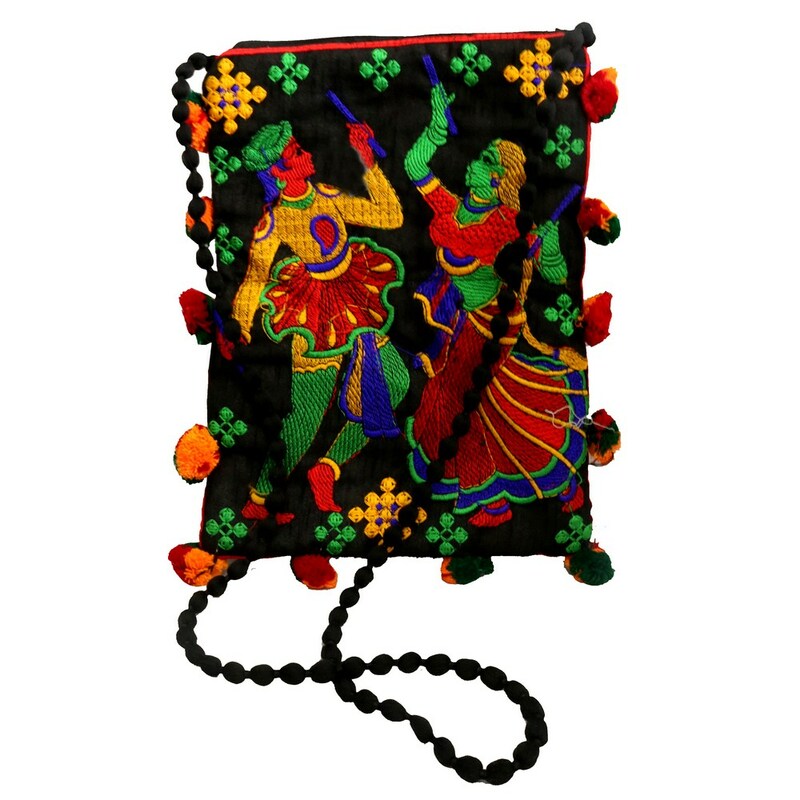 This heavily embroidered pouch bag is cute, ethnic and useful without any hinge of doubt. With a brilliant black setting, the bright embroidery skillfully nurtures Read More..the background. The image of Rajasthani men and women furthermore brings about the cultural essence. This pouch bag is ideal for mobile phones and it could make a useful present. Show Less..